Thinking about the instrument of your dreams?It can be yours with Allegro. Why wait?! 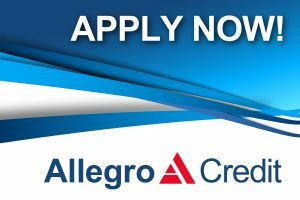 We have partnered with Allegro Credit so you don’t have to! Allegro Credit is a leading keyboard instrument financing company, offering flexible financing options and low monthly payments*. Allegro Credit provides both a superior alternative to high interest rate credit cards and unparalleled live customer service.